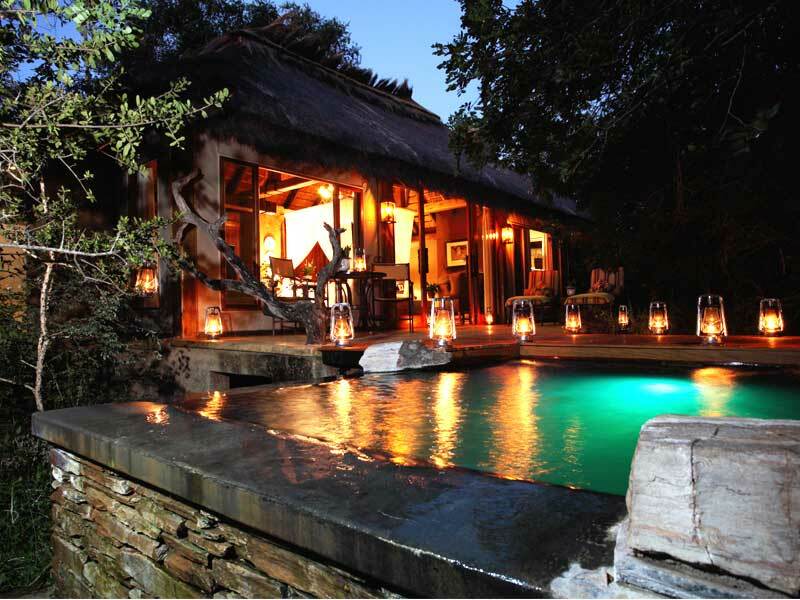 Camp Jabulani is better known for its elephants than for its romantic appeal. 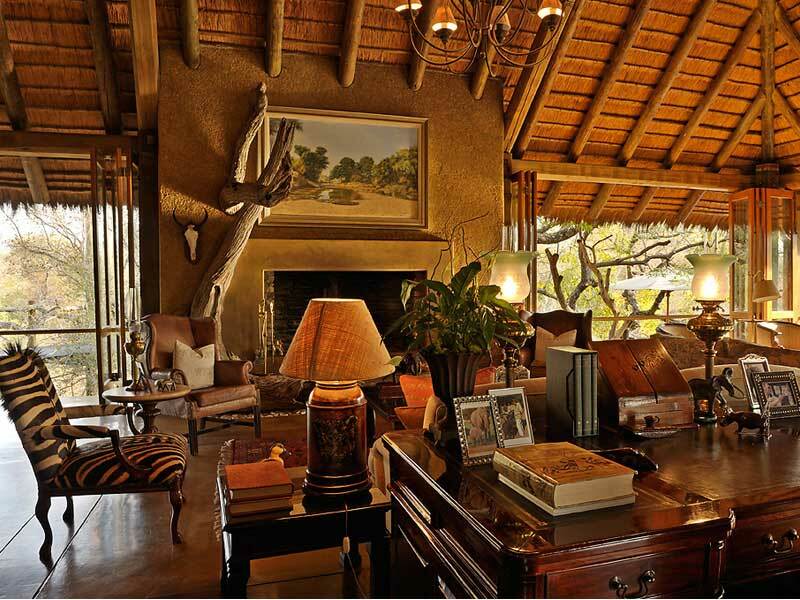 It is, however, amongst the most romantic of South Africa’s safari camps, considering that over a five-day sojourn, I was sometimes the sole loner in camp of honeymooners — no, it wasn’t some cruel contrivance to impress upon me my solitude. I’m quite happily wedded to my voyages, thank you! But I can see why Camp Jabulani lends itself to the more amorously inclined. To experience this property’s romantic impact, it’s worth arriving at dusk- not terribly practical, but then, since when has romance been practical? I’m not very romantic, but I am most impractical and quite liked reaching camp at an unseemly hour to be graciously received under star-spangled skies. I’m next ushered by the gallant new General Manager (GM), Philip, through an impressive curio shop to a lounge for drinks, and then taken over a bridge to my villa. 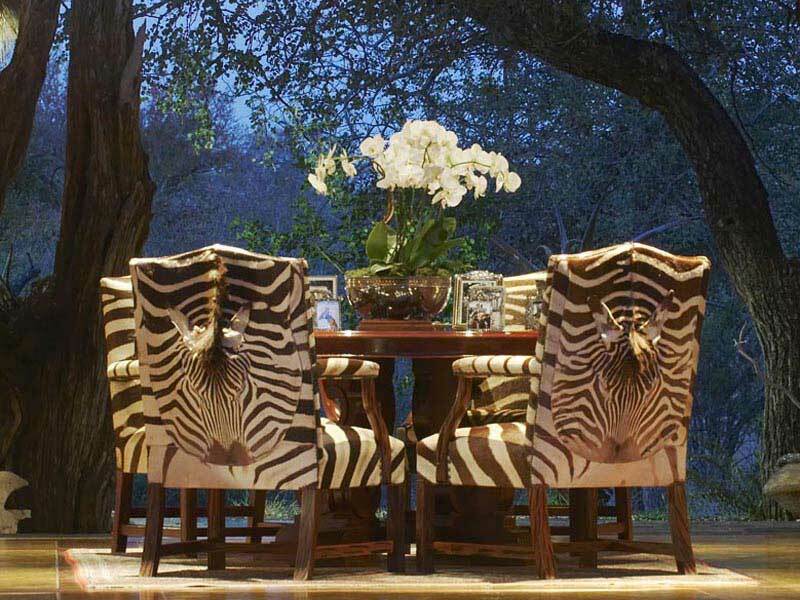 Villas with private pools, charmingly colonial, with sultry wood furniture, sofas baring hides, floors tessellated in zebra skins and walls seemingly out of elephant dung (they can be charming, promise!) scatter along a riverbed. A chandelier glitters over the bed, drenched in flowing white net, whilst bulbs embedded in wooden barks bathe in soft light. A stand-alone bath languishing by your bed for attention. Nightlong, as you succumb to the seductions of your enticing four-poster bed (and whatever else is in it, let’s hope), you’re serenaded by lions, if not a concerto of lions and leopards. This fairytale camp even nightly supplies whacky African bedtime fairytales. Philip then presents me the lodge, an enchanting space. This colonial camp preserves the quaint aura of a bygone era. Here, time seems to have stopped. Even though the young rangers hustle about on multiple missions, yet, tranquilly lies like a drape over the camp. It is desecrated only by elated vociferations of tourists at supper, who must think everyone is interested in their jungle expeditions, their lives, and their opinions about other people’s lives. The dining room has rich porcelain (that miraculously resists shattering, despite the shrieking tourists), a raging fireplace and the quietly attentive steward, Isaac, who seems as timeless as this captivating enclave. But you might soon find your marriage tested, as Chef Garth entraps you in a love affair with his gourmet creations. For gourmet they are, displaying tact and technique, flair and fancy. Creativity shows in bloody Mary or wasabi panna cotta and blue cheese ice cream, whilst Chef’s overseas experience manifests in civilised portions (most South African lodges serve famously bad food in infamously elephantine portions). His lunches are thankfully light, his breakfasts petite and prettily presented at your table (no ghastly buffets!). His four-course suppers are epicurean. He’s the “Sultan of Soups”- every one a satin-textured wonder, and he’s also the “Moghul of Chocolate Mousse” (made with Belgian Belkolade) and “Baron of Briers” (Afrikaans BBQs). If a “gourmet” brier sounds like a contradiction in terms, then Chef Garth’s aesthetic flair magically transforms this informal dining option: dine under the heavens amid blazing fires, surrounded by beautifully-dressed tables. I discover that Chef Garth worked at Vietnam’s culinary landmark, La Residence, one of my favourite addresses, and prevail upon him to whip up hot-hot Vietnamese dishes. You would do well too – just to spice up your honeymoon. 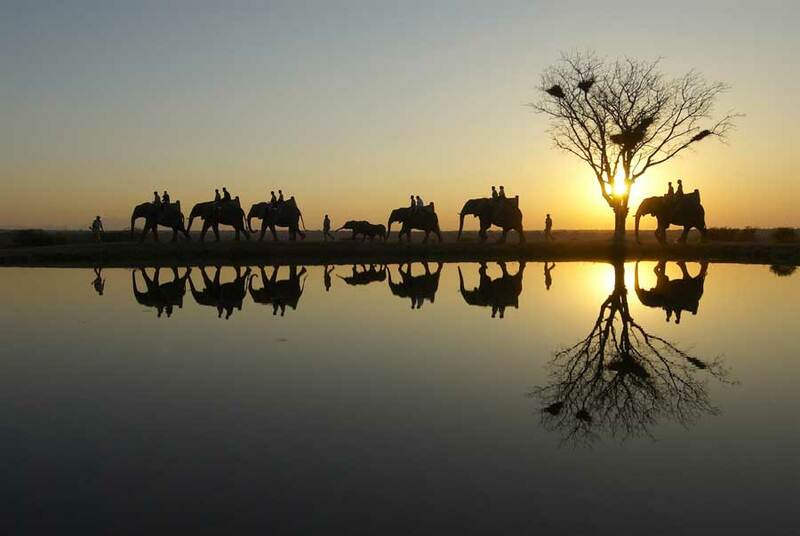 Even if you aren’t on honeymoon, you’re treated to customised itineraries and pleasured with the camp’s famed safaris on elephants that were saved from brutal extermination in Zimbabwe. The star of the parade is Jabulani himself, extracted from a bog. However, he must now share his stardom with the biggest elephant, Sebakwe, who is featured on bottles of local speciality Amarula liqueur. 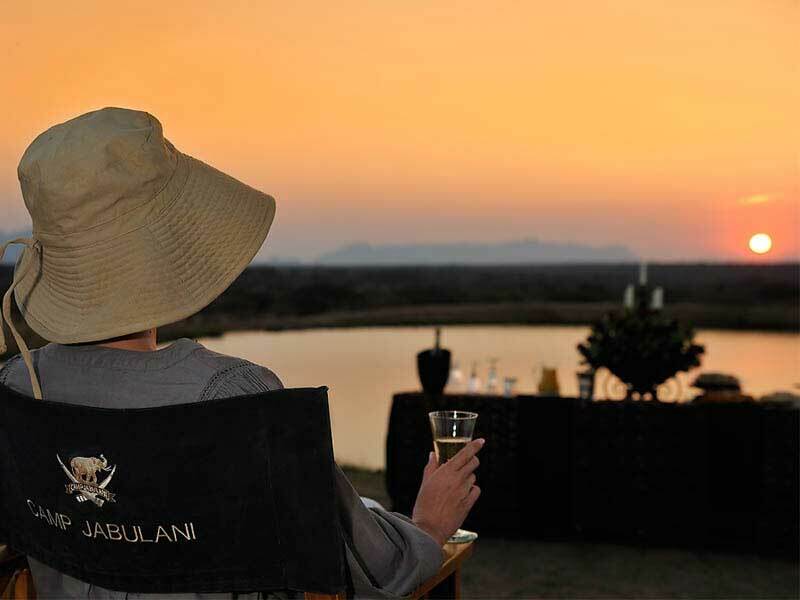 Camp Jabulani’s elephant-back safari ends with your elephant deposing you at a scenic location, where tables are decked for sundowners with drinks (Amarula, naturally) and titbits, including delectable dry guava. Unmissable, these evenings, unless your guides, Werner and Ryan, steal the show by driving you to secluded picturesque spots. Do let yourself be kidnapped by the boys. They won’t bore you at every sighting like most guides do, with prolonged stops that seem to last longer than a modern marriage. 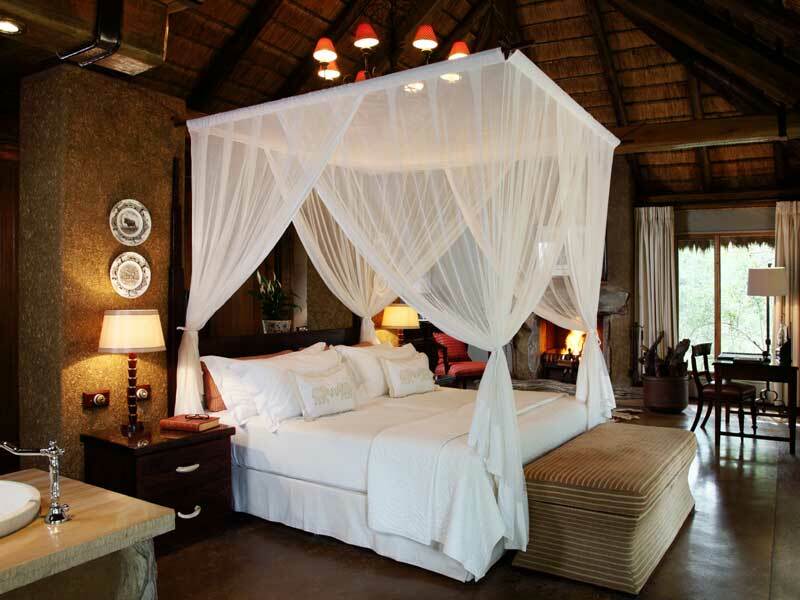 Later, opt for the night elephant-back safari and melt away into the moonlight- or honey-moonlight. Camp Jabulani and the HESC are an experience in caring. For those who think that marriage itself is endangered, perhaps one might find heart here!